After a couple of years of selling the Golf as a Rabbit in the United States, Volkswagen has returned to using Golf for the latest model. 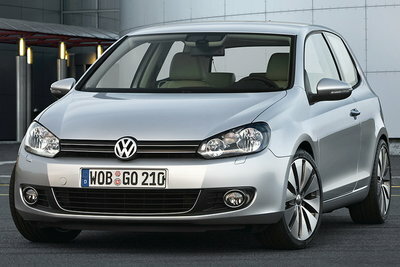 Although the Golf is Volkswagens entry-level model, it is constructed and equipped more like a luxury car. Standard equipment includes power windows, air conditioning, and cruise control. VW includes a complete set of passive and active safety features such as front side-airbags, rear side-airbags, side-curtain airbags, ABS, traction control, and optional ESP (Electronic Stability Program). The base engine is an unusual 2.5L inline five-cylinder that is shared with the Jetta. An optional diesel model should impress buyers with a fuel economy rating of 30 city/ 42 hwy. Volkswagen's also include free scheduled maintenance for the first 3 years.